We work for you. We'll give you the straight facts about the condition of the home you are about to purchase. We are also a locally-owned company in Petaluma, not part of any nationwide franchise. Providing professional home inspections for Marin and Sonoma County. Learn about what we inspect, tips for preparing your home, and more. 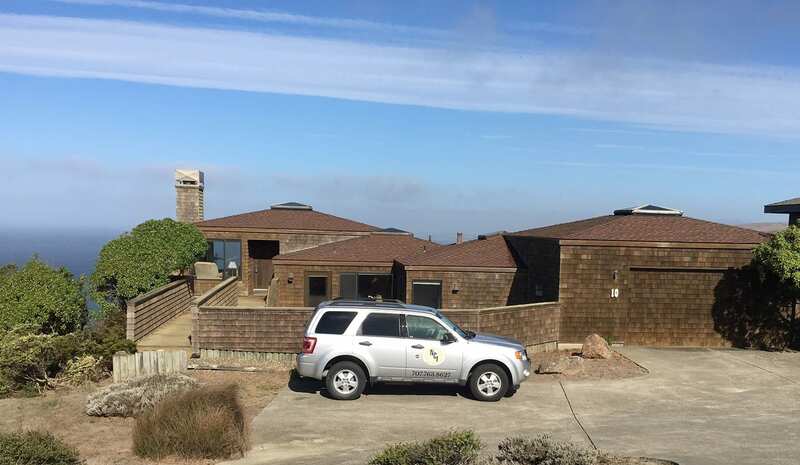 Learn about our certifications and why North Coast Inspection Services is the premiere Home Inspector for the Marin and Sonoma areas. View our policies and meet Terrence Lewis, Certified Professional Real Estate Home Inspector and owner of North Coast Inspection Services. We are a couple that is buying our first home and it is a fixer-upper… Terry and his team came out to do the home inspection and they were GREAT! Terry was happy to have us following him around the house and he explained EVERYTHING in clear English, without talking down to us at anytime. He didn’t sugar coat anything and gave us his honest opinion on every little part of the house, good or bad. I won’t go into the whole story but he went out of his way to accommodate us and spent extra time at the house to make sure he saw everything that needed to be seen. He was never in a rush to get out of there and answered all our questions fully and with absolute professionalism. I have worked with Terry Lewis for years. I would 100% refer him and his company. He is very professional, treats my clients with complete respect and addresses their concerns with knowledge and care. He definitely goes above and beyond the Check List that other companies work by. You will be very impressed and thankful that you chose his company. Once Again, North Coast Inspection Services completed an Inspection for my Client on a Rush Bases with no hesitation. They did a wonderful job and provided my Client with information that she needed to ensure her new home was safe and comfortable for her family. I also received a report within 24 hours! They are wonderful and I highly recommend them. Terry is great! As a Realtor, I have been using him for over 11 years. He always takes the time to explain and make sure the client understands the issues with the home. I will continue to recommend him to my clients! Terry goes above and beyond for his Customers. His knowledge and devotion to ensuring your Inspection is thorough, shows in his work ethic. Terry is always there to take questions and provide advise. I highly recommend North Coast Inspection Services! Excellent is an understatement. © 2018, North Coast Inspection Services INC. All Rights Reserved.